From delivering the kids to school safely to pulling up to that business lunch meeting in style, the sleek Honda Accord exceeds all expectations. The versatile Honda Civic is an option that driving enthusiasts can't afford to miss; discover the sleek amenities that come included with a new purchase today! Dominate your on-road adventures behind the wheel of a compact crossover vehicle that caters to your comfort needs, explore a Honda CR-V now. Secure a midsize crossover SUV that is packed with amenities and offers three spacious rows of seats, secure a brand new Honda Pilot today. 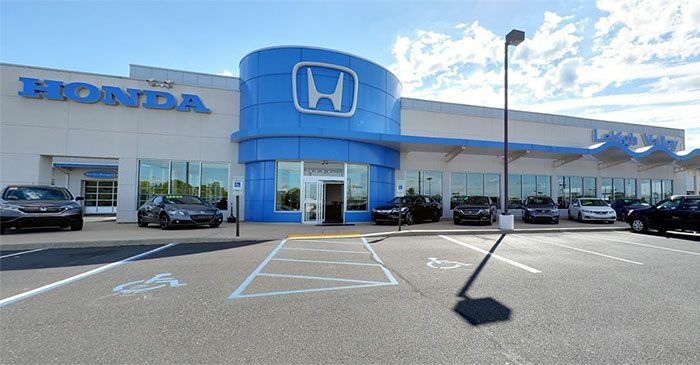 Our new and used Honda dealership near Bethlehem, PA is an award-winning, family-owned and operated business, committed to providing you with the high level of customer service that you deserve. We have been proudly serving the members of our community since 1984 and we look forward to many more years to come. We not only cater to vehicle finance and service needs, but to the needs of the community as a whole. We proudly support local pet rescue missions, the ASPCA, the American Heart Association and the Lehigh Valley Health Network, just to name a few! When you shop here at our Honda dealership you help support these causes too, so don't put off your new Honda Pilot search any longer! Lehigh Valley Honda offers a complete car buying experience! Our full-service Honda dealership in Pennsylvania will help you find the Honda CR-V trim that complements your needs, assist with your Civic bad credit financing request, or will handle all of your Accord's maintenance needs! Our prices are always competitive, and our practical special offers are aggressive, so make your way over to our Honda dealership in Emmaus, PA or explore all the resources we have available here on our website! 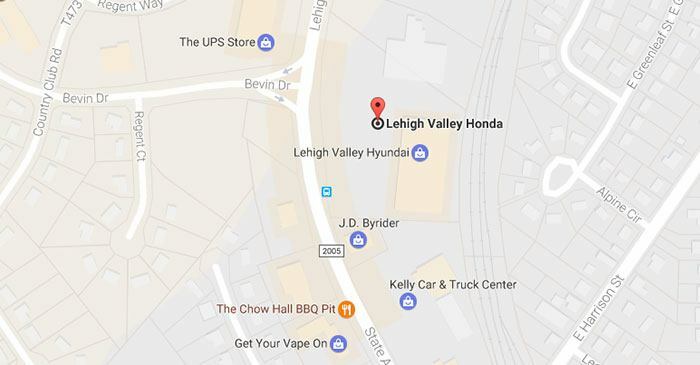 Lehigh Valley Honda invites you over to our convenient Pennsylvania location near Allentown to explore all the impressive new Honda models we have in stock! Learn how you can trade-in your current vehicle and upgrade to a Honda CR-V 2018 today! From top-of-the-line luxurious Pilot models to competitively priced base trim Honda Civic cars, we have a stylish vehicle option for you! Whether you have a pristine credit rating, are a first-time buyer or would like to explore your bad credit financing options, Lehigh Valley Pennsylvania Honda's finance department is here to assist! Send over a completed credit application to start exploring loan options or visit our new and used Honda dealership near Easton, PA to sit down with one of our loan experts right now! If you're wondering where to get genuine Honda parts and accessories at affordable prices, head over to Lehigh Valley Honda today! Our parts department is fully stocked with a range of quality products, and our impressive special offers ensure you're able to gather the items you need without breaking the bank! What are you waiting for, use our easy-to-navigate website to order Honda parts online right now! Our Honda dealership near Bethlehem, PA has a wide array of quality used Honda models to explore! Talk to us about the rigorous multi-point inspection process that used Honda CR-V model had to pass before it was entered into our inventory and schedule a test drive so that you can experience the comfortable ride it affords today! 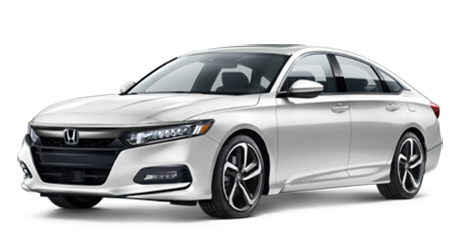 Shop our selections on-site or right here on our Honda website now! The factory and ASE-certified technicians over in our Honda service department are eager to assist with your Honda Pilot's oil service, tire need or brake pad inspection, so reach out to our location near Bethlehem, PA today! Whether you need a wiper blade replacement or would like to make use of our Honda Collision Repair Center, our friendly team of professionals is here for you! Our new and used Honda dealership has made many useful resources available online so take some time to explore our website! You can learn more about our Honda dealership serving Allentown, schedule a Civic test drive, apply for financing, schedule a vehicle service or browse our OEM parts, all without ever leaving the comfort of your Easton, PA home! Contact our friendly team of Honda professionals with any and all questions.